Talk about unreal; a cold sun is shining in Venice, and I'm in conversation with West Cork resident, spouse of Irish actress Sinead Cusack, and Oscar winning actor, Jeremy Irons. As we speak on the concrete patio at the back of his hotel – which, like everywhere in Venice, limply hugs the Grand Canal - a gondola whispers by, and two American ladies of the blue-rinse persuasion gawk over. Irons is used to such attention, but he swats it away with a smile and a wave like the professional he is. 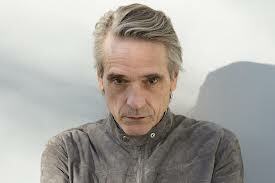 Of course, Venice and image are two aspects of Jeremy Irons’ career that once went hand in hand. Over 30 years ago, he lurched into the mainstream with his unassailable portrayal of Charles Ryder in the universally acclaimed television adaptation of Evelyn Waugh’s Brideshead Revisited. It’s a role that defined him for years – the rather austere, gaunt Ryder and his increasingly melancholic observations regarding the slow but inevitable decline of aristocratic grandeur followed him around like a lazy shadow. He has long since shrugged it off through a series of wide ranging film roles that highlight his often mischievous view of career management. Born on the Isle of Wight in 1948, Irons was educated at Sherbourne (a private school) and subsequently at the Bristol Old Vic Theatre School. Upper middle class seems to be his background, yet he is surprisingly lacking in the aspirational airs and graces and entrepreneurial ambitions that underline such breeding. He says he had no desire to “spend more time with the sort of people I had been educated with”, and that what he really wanted to be at the age of 17 was not an army cadet or a burgeoning businessman, but a gypsy. After he left school, he busked his way around the UK, Italy and Spain. Such encouragement proved to be a sound investment. From theatre and various television works in the late 60s and 70s, Irons honed his talents (“a particular talent,” he offers modestly) to the point where he came to the notice of casting agents looking for a different kind of actor, someone whose subtle, occasionally sorrowful voice and saturnine features suited certain roles. From his breakthrough in Brideshead Revisited onwards, Irons has done his best to steer clear of stereotypes. The common perception of someone as well known as Irons is, to a degree, defined by what the public see him as in his films. Is he as precise and exact a person as characterised by some of his more famous film roles? “I’m quite single-minded, and I don't want to waste my time. As for being exact – I’m not sure I’m that. I try to be when I’m talking, but I know that artistic creation – which I know is rather a grand term – is a very mystical thing. How it comes about is very strange, and perhaps best left undefined. The curse of the successful and the financially sound is that work can often override the call of home and hearth. While Irons says he regrets this, there can be little doubt that, overall (and yes, there have been a few movie duds along the way), his family’s loss is our gain. What becomes obvious throughout his career and life is that he has always had a sense of his own direction. Another perception – is he something of an intellectual? Another gondola passes by. A couple smooch under Jeremy Irons’ watchful gaze. “I’m a bit of a thinker, but not hugely intellectual,” he replies. “Sinead is far more intellectual than I am. I tend to be very instinctive.” The Venice sun is now downright wintry, and Irons’ officious PA diligently nudges his boss – there is filming to be engaged with, lines to be rehearsed, make-up to be applied.